When I posted the ingredients to today’s recipe yesterday, many of you said these were the best ingredients ever or all of your favorite ingredients together. And well, I couldn’t agree more! 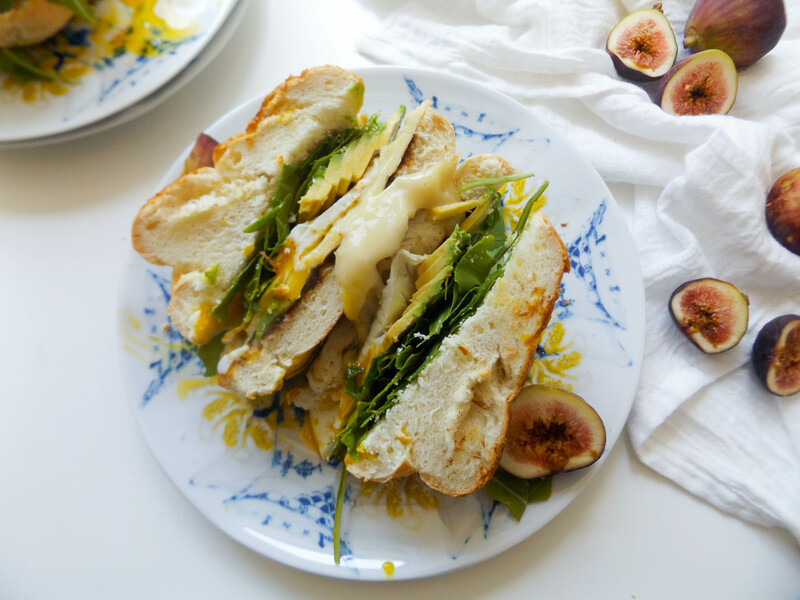 There is no way you can go wrong with figs, brie, avocado, eggs, and challah, and though one recipe came to mind for me, the possibilities are endless. I am a big fan of breakfast sandwiches! And when it comes to breakfast sandwiches the messier the better. Can you even call it a breakfast sandwich if you don’t have egg on your face? I think not. What I love about this version is the combination. You have a sweet and salty combination that just melts in your mouth due to the challah. And of course, I am in the add a fried egg on top of anything camp. If you make this one time, i bet you will be hooked and want to eat it over and over again. And then look at the pictures and think about the next time you can have this for breakfast. Just saying, I know from experience. Slice the challah roll in half and toast in the toaster oven. Spread the jam and brie on the roll and mash the avocado. Slice the fig thinly and place on top. Fry in egg sunny side up and place on top. Add arugula on top of the egg and place the other half of the roll on top. This recipe serves one but its just as easy to double triple etc!